Kitchen Arts and Letters are selling off hundreds and hundreds of slightly damaged, modestly out-of-date, or otherwise unfortunate books, all priced from $1.00 to $10.00. Find everything from torn-jacketed copies of current releases to shelf-worn classics. No reservations and no mail orders. 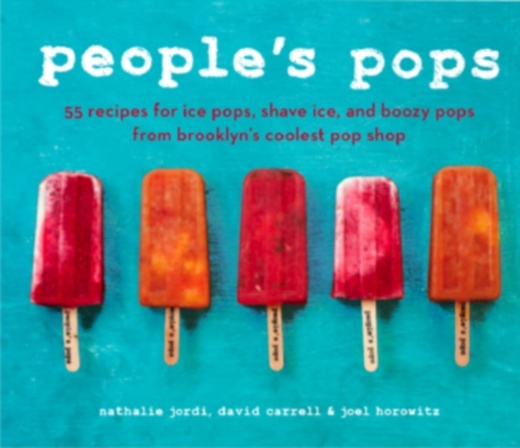 But even better, the cool folks from People's Pops, purveyors of delicious frozen delights made from locally-sourced, sustainably grown ingredients, will be there to celebrate the release of their first cookbook. Buy a copy of People's Pops on June 16 between 11-2 and get a free pop to inspire you to go home and start freezing things up!